March 15, 2017 - John Andariese, longtime New York Knicks broadcaster, died on March 12 at his home in West Palm Beach, Fla. He was 78. According to his family, Andariese had been suffering from dementia and was in poor health. His condition was made public during an ABC telecast of a Knicks-Warriors game earlier this month when Mike Breen, a longtime colleague, wished him well on air. Affectionately known as "Johnny Hoops," Andariese was a standout player at Fordham University from 1956-1960. He played in two NIT tournaments and was team captain his senior year. He began his broadcasting career in 1972, teaming with Marv Albert calling Knicks games on radio. 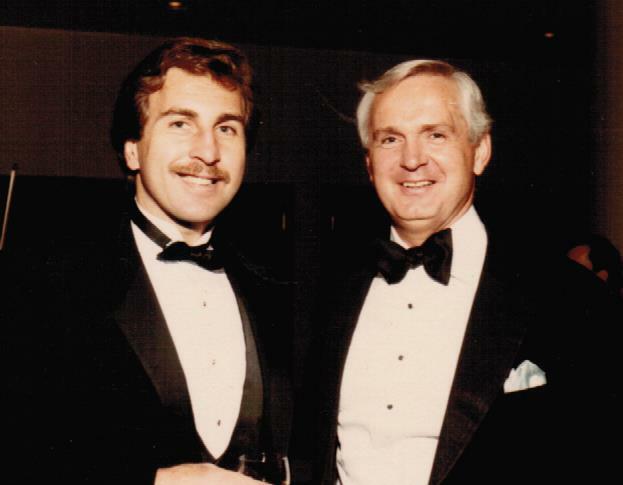 In 1983, he became the first NBA analyst for ESPN and later joined Skip Caray on NBA telecasts for TBS. On the national level, John worked for NBC doing college basketball for 10 years. In 1986, Andariese joined Albert on the MSG Network to usher in the Patrick Ewing era. The two became an instant hit with fans, as Albert's good natured ribbing and playful sarcasm mixed well with Andariese's dry sense of humor and calm demeanor. The Knicks were also able to reclaim their glory, reaching the playoffs in each of their 12 years together, including their 1994 appearance in the NBA Finals. Andariese also added hosting duties to his resume with the show, "NBA Legends with Johnny Hoops," on NBA TV. His reputation allowed him to secure guests such as basketball heavyweights Kareem Abdul-Jabbar, Red Auerbach, Bob Cousy, Oscar Robertson, Bill Walton, and Magic Johnson, just to name a few. A Lifetime Member of the ASA, Andariese was honored with the Curt Gowdy Media Award by the Naismith Basketball Hall of Fame in 2014.